Product #22218 | SKU GOLD-XLRF-MINI-018 | 0.0 (no ratings yet) Thanks for your rating! 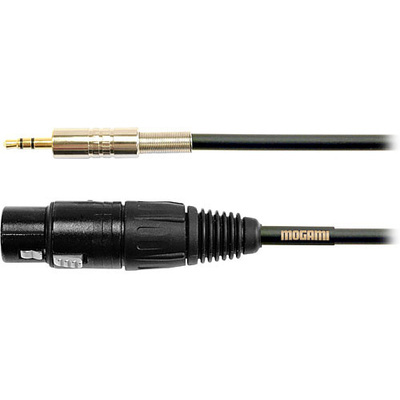 The Mogami Gold Stereo Mini Male to 3-Pin XLR Female Microphone Cable is a high performance, super-flexible, low impedance balanced microphone cable. It features a special rubber-like PVC jacket that is extremely flexible, and exhibits good resistance to rough handling and abrasion. The high-grade insulation material used is designed to minimise heat shrinkage during soldering, which allows easy termination to the XLR type connector.